We will advise you and accompany you in taking part in competitions and seeking internationally recognized awards. 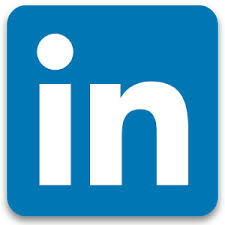 Take advantage of our know how and expertise in this area. In March 2014, the consortium we represented, PRoF-Projects, was awarded the Innovation Prize of the Trade Fair, Altenpflege. 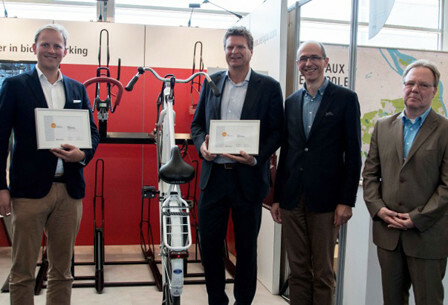 In June 2015 during the international Velo-City conference in Nantes / France our Dutch customer was awarded with both the UNIVERSAL DESIGN Consumer Favorite and the UNIVERSAL DESIGN Expert Award. VelopA received the awards for its innovative and intelligent bicycle parking solution, the Easylift +. From left to right: Frederik Vernède, CEO VelopA , Michel Middendorp International Sales Manager VelopA, Michael Schlenke, Thomas Bade, CEO iF UNIVERSAL DESIGN & Service GmbH. From left to right: Michael Schlenke, Jan van Hecke, Coordinator PRoF-Projects, S.E. Rainier Nijskens, Ambassador of the Belgium Kingdom, following receipt of the Innovation Prize of the Trade Fair, Altenpflege for the PRoF-Projects.